The Heavy Duty Y-Link steering kit from Rubicon Express is made to be a direct bot-on upgrade over the factory tie rod and drag link for Wrangler TJ vehicles. 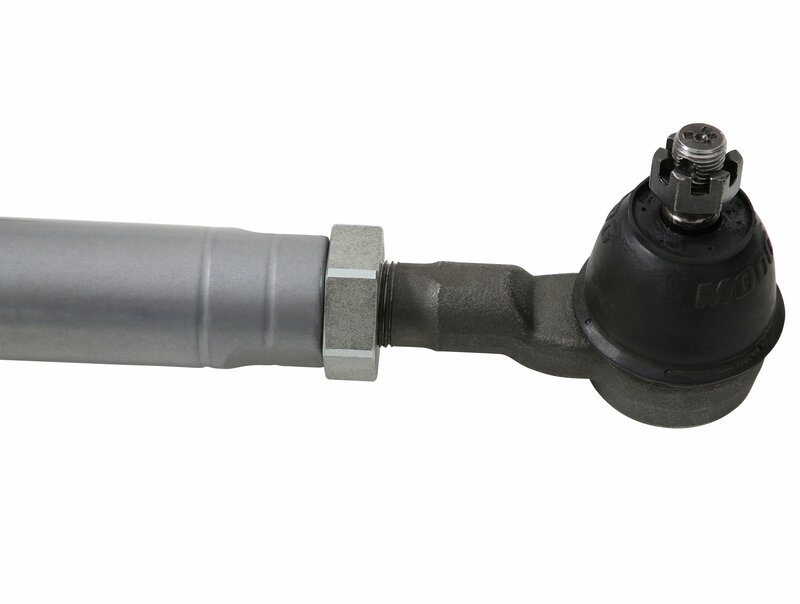 This steering kit extremely heavy duty and is constructed from 1-1/8 inch Chromoly and features large 7/8 Moog Problem Solver tie rod ends for maximum strength and durability. This kit is designed to eliminate bump steer while preventing suspension binding during articulation. 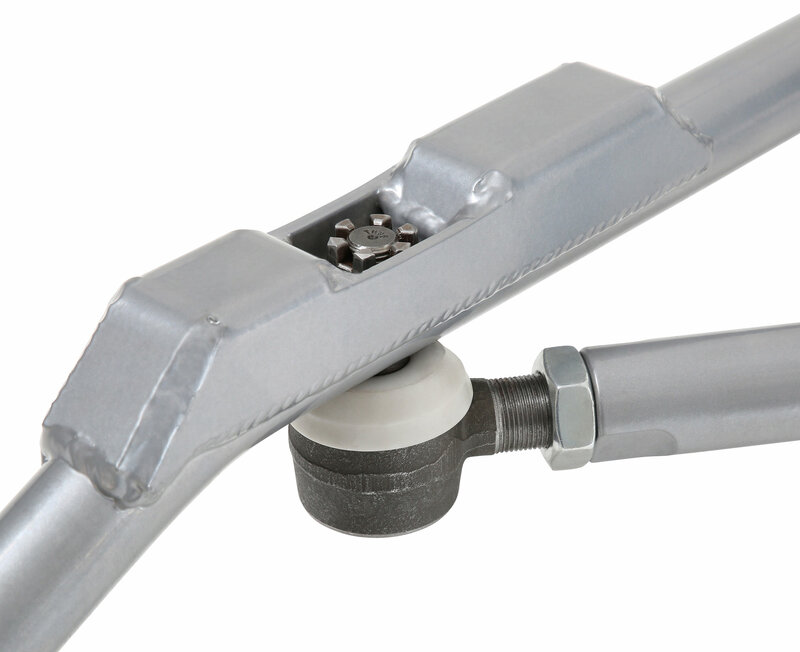 The adjuster assembly allows for adjustments to be made without having to remove the drag link. 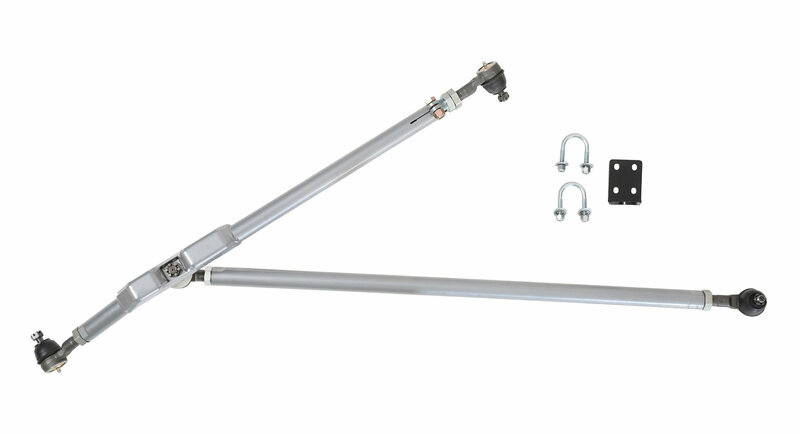 Heavy Duty Upgrade over Stock Components: This Heavy Duty Y-Link Kit is constructed of heavy duty 1-3/8 Chromoly, with large 7/8 Moog Problem Solver tie rod ends for added strength and maximum longevity. 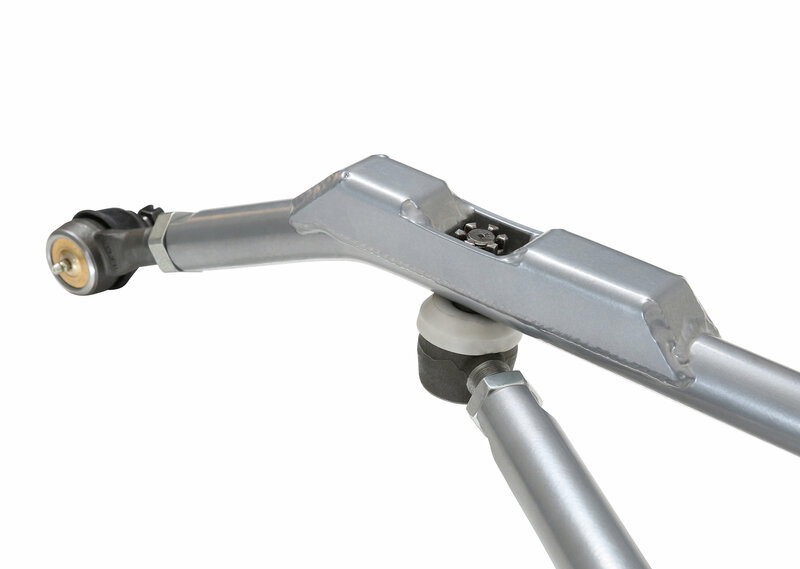 This will eliminate bump steer and take care of any potential suspension bind during articulation! This kit features a premium powder coat finish for maximum corrosion resistance. 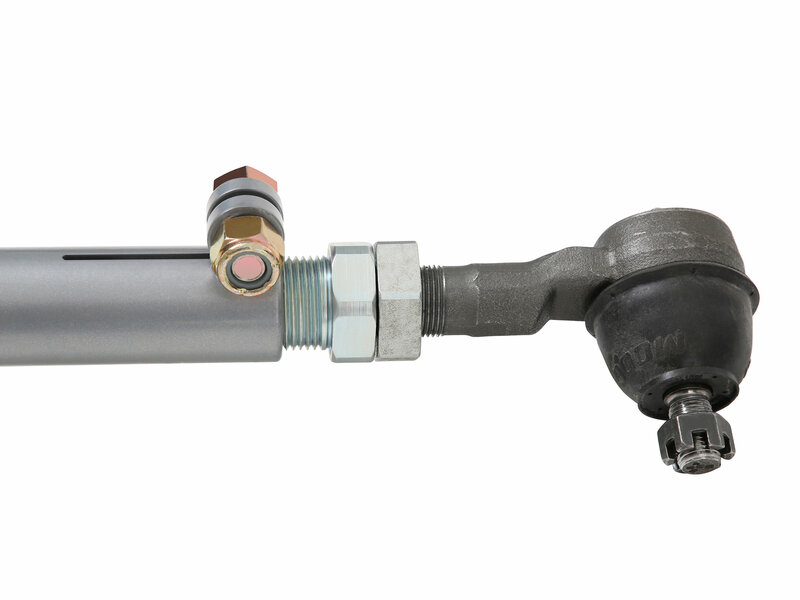 Easy Bolt-On Installation: This kit has been specifically designed for the Wrangler TJ to be a direct bolt on replacement that ensures an easy installation. The adjuster assembly will allow for making any needed adjustments without having to remove the draglink from the vehicle! I’m torn on stars to rate this product. While the final installed product is tight and functions well, the directions provided are utterly abysmal for what should be such a simple task. It’s not that difficult, right? It’s two bars, some tie rods, and some bolts… piece of cake, right? I’ll list the issues I had. 1. PARTS MISMATCH. Rubicon Express directions for RE2602 specify to check that you have all parts. They list that you should have 3 left hand thread jam nuts. I had 3 jam nuts and assumed all 3 were left hand. In fact, 1 was a right hand, needed for the tie rod to drag link connection at the Y (but not listed in the parts list). 2. POOR SUPPORT. A super helpful rep from Quadratec called RE on my behalf to make a warranty claim for the missing LH Jam nut and the RE rep argued with him that the customer just needs to look in the box because all the parts are there. Three days later I got the missing jam nut and completed the installation. A. RE’s instruction say to torque all the castle nuts to 90 ft lbs., and then they say to torque all bolts to factory specifications. Factory specs are 35 ft lbs for the tie rod to knuckle and tie rod to drag link and 60 ft lbs for drag link to pitman arm. So which one is correct??? B. I had a question about the plastic boot for the tie rod to drag link connection. 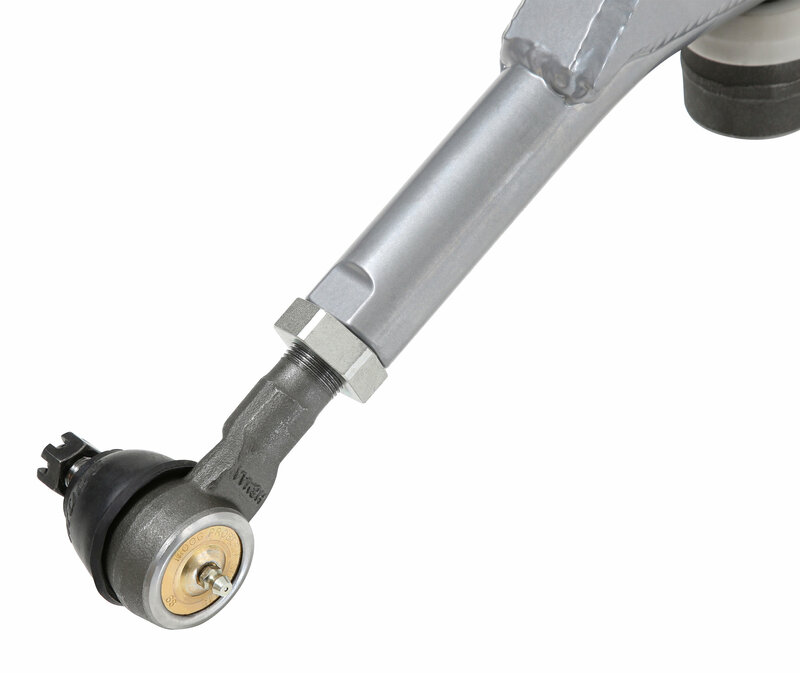 Each tie rod comes with a standard rubber grease boot. The RE instructions read such that you should use ONLY their supplied plastic boot, not plastic over the rubber boot. If you install both, it’s impossible to get enough thread through the hole to allow the cotter pin to pass through unless you torque beyond 70, which I didn’t continue trying to do. I installed only the plastic boot and torqued to factory spec, 35 ft lbs. I called RE to verify because I was concerned that the grease wouldn’t stay in the joint without the rubber boot in place. The rep explained that I should have installed the plastic boot on top of the rubber boot – not possible without torqueing to probably 90 ft lbs, but the factory spec is 35 ft lbs. Also, the RE instructions show pictures of the plastic boot installed by itself without the rubber boot. So how is the customer supposed to determine what’s correct? Summary: after install it looks great and handles well on my 98 TJ with a 4.5" Rubicon Express lift and 33" tires. I love that it uses MOOG tie rod ends that I can get at Autozone. It keeps the steering geometry at the proper angles and required no modification to my rig. No drilling, no welding, no reaming, no cutting. Just a nice bolt in application. That said, be ready for poorly informed tech support, hassle, and maybe missing parts.